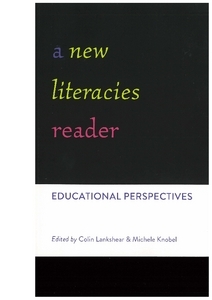 Desiring a broad base of new literacies, Lankshear and Knobel, as editors, selected narratives of educational practices occurring in classrooms throughout the world. The diversity presented is admirable. Articles deal with actual experiences and decision-making processes in various settings. Most educators struggle with how much access to materials and sites is appropriate for students to safely navigate. 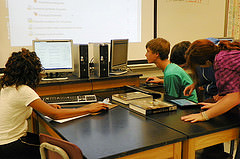 Yet, we know that outside the classroom students are technologically savy and experience daily connections to the Internet. Thus, it is noted that we should capitalize on their range of skills and examine a wireless environment in the process. Others grapple with the concepts of remixing digital structures in the all-content areas and in every classroom while urging students to create new works and offer solutions. Exploring avenues for “new technologies” outside of the realm of computer screens. educators are urged to consider modes that embrace a performance model, for example, the poetry slam. All these concepts are represented within the first section.